On the 1st of August 2010 an Opening Day for the academic year 2010-2011 was organised. 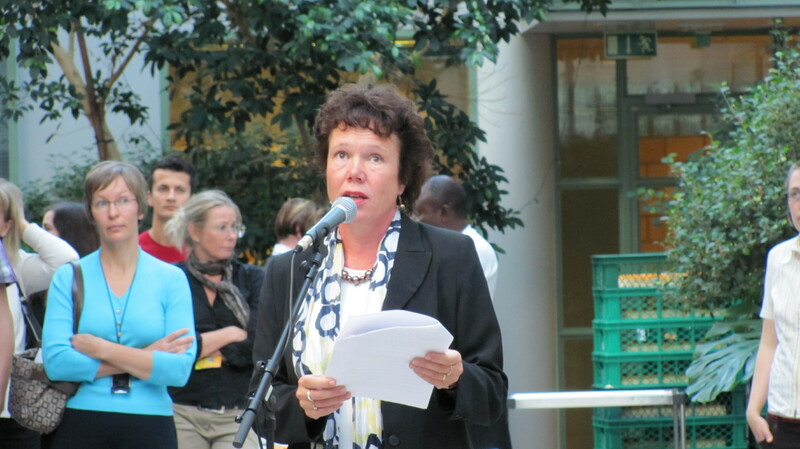 The opening ceremony was launched by Helsinki Metropolia University of Applied Sciences President, Ms Riitta Konkola. Teachers, students (fulltime+exchange) and staff attended. The program lasted for half an hour. After the launch of the academic year a fun warm up session was conducted by a dancing instructor who was also a student of Metropolia. Metropolia President, some teachers and students participated in the warm up session. At the end of the opening ceremony, coffee and was cake served to all. Best of luck to all in the new academic year.